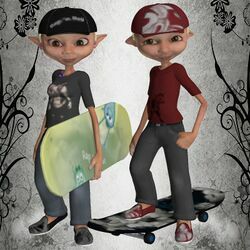 Eepo Rap N Roll is created by Elke and distributed on the 3rd week page of The Renderosity 2011 Holiday Giveaway. Eepo Rap N Roll is licensed for use in all renders both commercial and non-commercial. This page was last edited on 5 June 2017, at 13:02.